This may be one of the most mainstream occupations, a person could have but this is also one of the noblest jobs one could ever get. They say it's easy to be a carpenter but it's actually not, and believe me or not, Carpentry is more than just constructing or building damaged or unfinished large structures. Interested to know what else is in it? Then come and check Carpentry NC II as a course offered by TESDA. You may find it fascinating once you learned the different competencies you may obtain if you enroll. This course will instruct you in performing fabrication, installing and stripping formworks. Other than cutting, shaping and installing building materials, you may be able to learn other competencies such as the ones you may view below. Those who are qualified graduates of Carpentry NC II may find employment as a rough carpenter. Carpenters are needed for the country’s booming construction business, and in industries such as renting and business activities, real estate, public administration and defense, compulsory social security, and in private households. 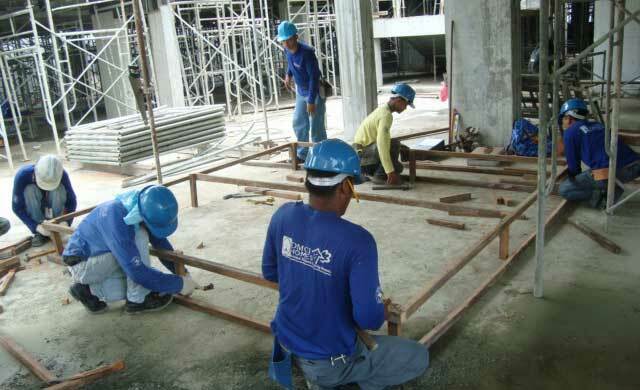 Students enrolled in the TESDA Carpentry NC II course may be required to undergo a competency assessment before graduation. You can take this at any TESDA Accredited Centers for Carpentry Course. A National Certificate (NC II) will be issued to students who passed this assessment process. how to enroll carpentry online course? is this course fits to a lady also?? Where can I enroll for your carpentry lessons in Metro Manila?